The impact of volunteering and service on children; the life skills it builds; the lessons and conversations that emerge from it. The empowering and also healing effect of community service for both children and adults. To learn more about the practice of Mutual Awakening, you can visit Toni’s website or connect with her through her Facebook page. You can also find out more about the Evolutionary Collective through their website. Bruce Lipton, PhD, best-selling author of The Biology of Belief, Spontaneous Evolution and The Honeymoon Effect, and former professor and researcher at the medical schools of The University of Wisconsin and Stanford University, shares the scientific proof (and the good news) that we each have the power to create heaven on earth. To find more about Melani and her work, you can visit her website. Death and laughter are not two words that we often string together, but Jen Mathews does a brilliant job of teaching how laughter, and in particular Laughter Yoga, is a therapeutic tool not just for life but for navigating the difficult experience of death and loss. What if money is NOT the root of all evil and that in fact your relationship with money can be just as spiritual as going to church? What if your money issues are really faith issues? Rev. Karen Russo talks about our relationship with money and the Divine as one and she presents 3 core money myths (or money traps) that keep many people stuck in their money woes. For each myth, she also presents a set of keys or practices to overcome them. What if there is more to us than meets the eye? Aja Andromeda presents how all human beings have capacities beyond those we typically recognize and utilize. She tells her story of awakening to the multidimensional aspects of herself and how we can all do the same through certain key practices. She speaks of how this opening to our multidimensionality enables us to heal more easily and create lives with greater joy and peace. You can reach her through her website: MultidimensionalU.com and subscribe both to her weekly messages and her weekly live meditation for her Facebook group. Cora vulnerably and bravely talks about her recent "dark night of the soul" experience, and she presents us with a list of simple practices to help us navigate the dark times in life. Among some of the practices she presents and explains: Presence, Breathing, Self-honesty, Morning practice, Reaching out for support, and so much more. The books that Cora mentioned at the end are: How Much Does Your Soul Weigh? and A New Earth. Is your office supporting or hindering your best work? In this episode we talk about simple changes to your workspace so you feel surrounded with the qualities that bring out your brilliance, your best work and career success. Judith walks us through simple steps to help us figure out the smallest of changes we can make that will produce big results in how our space works for us. She talks about 3 magical things that happen when you create a space that is beautiful to you, and how when we our current spaces resemble the spaces of our childhood, we typically repeat patterns from our childhood/our family. To find our more about Judith's work, you can find her on her website. Coach & author Taraleigh Weathers shares some of her wonderful strategies and tips to bring the magic of live music into our everyday lives... such as "getting high" (on good vibes), slaying the time & energy vampires, making magic normal, and more. Taraleigh shares compelling stories on how making life magical can be SO simple. Join the launch party and get some gifts! When you subscribe to the podcast on iTunes, rate it and give us a quick review, you'll be entered to win products form Pure|Energy Apothecary and gifts from our guests. 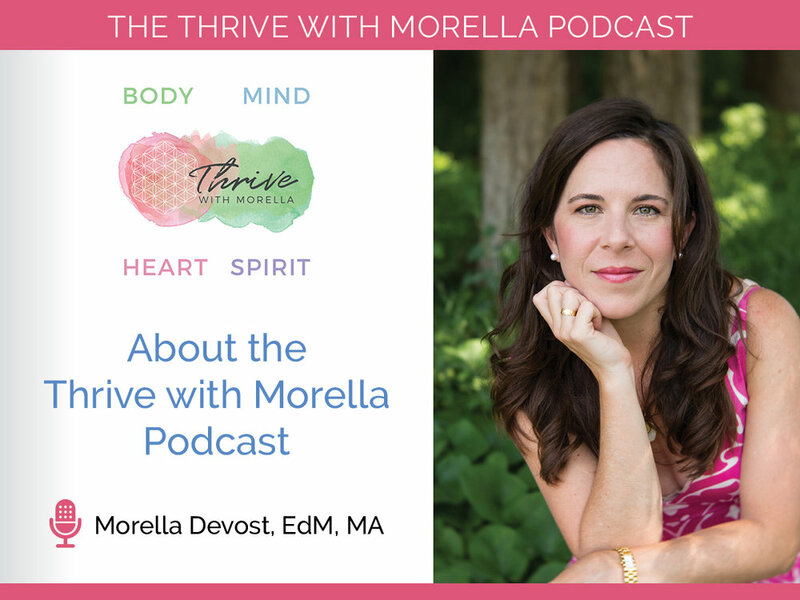 Go to Podcasts in iTunes & search for Thrive With Morella. Send me a quick email to let me know you've done it. Done! I'll get back to you and update you on the gifts we're sending out. What if you're meant to thrive in every area of your life? 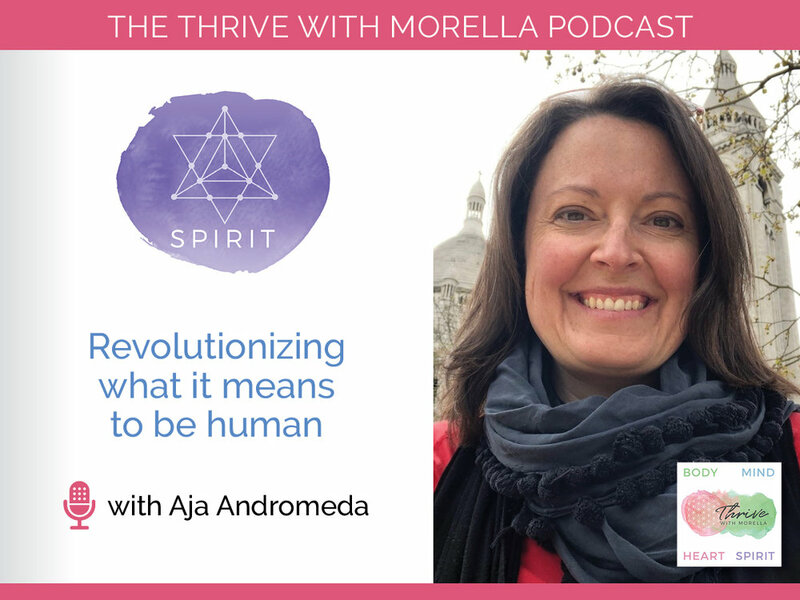 In this opening episode of the podcast I share with you why I've come to believe we are all meant to thrive, and that we can transform every dimension of our lives ~ from our health, to our career, our finances, our relationships and beyond. I also tell you why I've decided to launch the podcast. 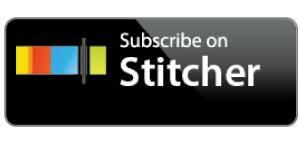 Let me know what you think in the comments and if you're liking the podcast, please do subscribe + rate + review on iTunes. It helps the podcast to be found by others.